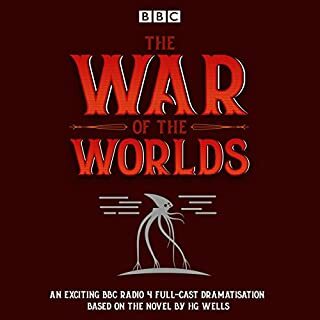 Having been introduced to the Jeff Wayne musical version of The War of the Worlds by my dad from a young age, I have always in my head wondered how well it would have been if it was an actual story, as opposed to just a musical version, and this definitely hits the nail on the head. Michael Sheen's voice is so relaxing to listen to as George/the Journalist, and I honestly think that he deserves to take his place as one of three amazing voice artists to have played the role. 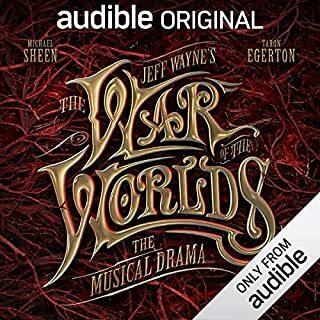 I enjoyed the little diversions from the original musical version, regarding certain parts of the story and I must say, even though I knew how it would end, it still manages to keep me on edge throughout. Sound design and music both work together tremendously, so much so that I found myself closing my eyes at certain moments and imagining the scenes playing out in front of me. That this audiophile could be so good. I will admit, I was expecting it to be a word for word read through of the original source material, but was utterly pleased at the great performance that was presented. The sound effects went well with the story, and the pace was perfect. I would definitely recommend this for anyone who wants a different take on the classic story.